A home is nothing if it doesn't help define our feelings, dreams and life, creating a vital link between what is designed and what is changeable. 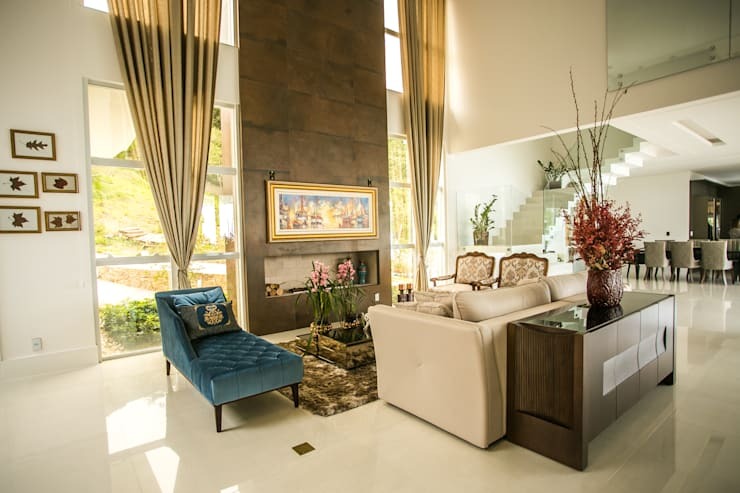 How a home is decorated reflects the personality and style of the owner and inhabitants. This exterior view gives us a glimpse of the perfection that is this modern living space with charming and rustic elements included in the decoration and design throughout the well-planned living space. 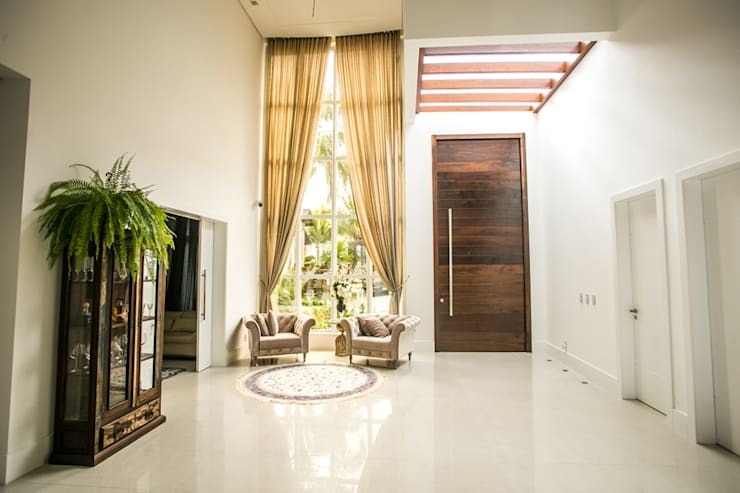 The all-white exterior of this magnificent home is complemented and completed by the solid wooden door, while the mirror finish of the large window allows for a brighter illumination of the outdoor area. The large home with high ceilings create an even more impressive exterior view. 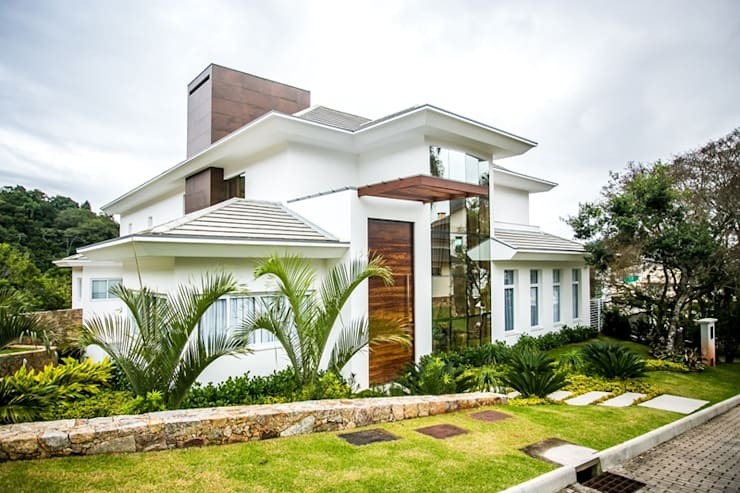 The amount of greenery surrounding the home further accentuates the magnitude and style of the stunning home that has been so expertly created. This entrance of the home is nothing short of fabulously decorated and well designed. With a bright and airy effect to the entrance of this home, creating a sort of amplified vision of the high ceilings that is shiny and and simply immaculate from the all-white walls and perfectly polished floors. The entrance to this home even has a elegant waiting area for those days when unexpected guests drop by. The amount of space available in this home is unparalleled with simple and elegant decor and furniture to add a classic and open touch to this home that already has a sense of cosiness and warmth about it, the style and elegance of this home design is fabulous and fantastic in all creative features. The living room area of this inviting residence has an old world charm about it, a classically entertaining appeal that is further exaggerated by the high ceilings and elegantly stylish furniture. This living space is simply pure sophistication… with classic elements added too that multiply the luxurious effect such as the wooden aspects of the armchairs and elegant chaise that adds a rustic and perfectly vintage decoration to this stunning room. The wooden sideboard adds a stylish and rich decoration to the home, while the sofa is simply luxurious… the added blue chaise creates a softer effect and a bit of novelty and whimsical decor. The added fireplace and bold floor to ceiling curtains completes the decor perfectly. 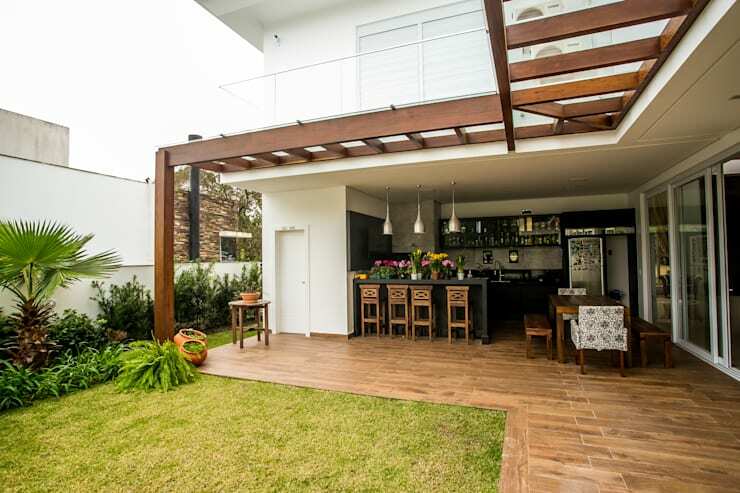 This outdoor glimpse of this friendly home allows us to get a sneak peek of the kitchen too! This gourmet cooking area of the home provide optimised relaxation and bliss with an outdoor dining aspect as well. The added wooden elements of the chairs and table allows a simple and contemporary design, while the modern and neutral colours used for the flooring and walls makes this kitchen elegance personified. The added pergola allows for an outdoor eating area or just a relaxing space where the outdoors can be enjoyed as an extension of the social space of the home. For more pergola ideas and inspiration, check out: How To Build A Pergola: A Step-By-Step Guide. This brilliant bathroom is more than just a space for getting clean, this bathroom has a relaxing and tranquil aspect to it. The subtle and neutral tones of the bathroom with the marble effect of the bath tub and the luxurious shower has a serenity and a rejuvenating effect, even when just admiring the bathroom that is so extraordinarily beautiful. 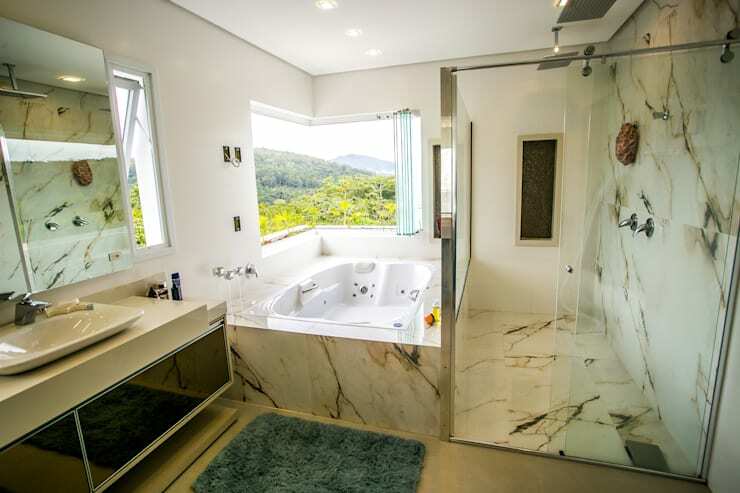 Added to the stunning effect of this bathroom, is the window that provides a picturesque exterior view, making this bathroom so much more impressive and elegant with the use of perfect materials and modern metals to create a sleek yet wonderful bathroom experience. 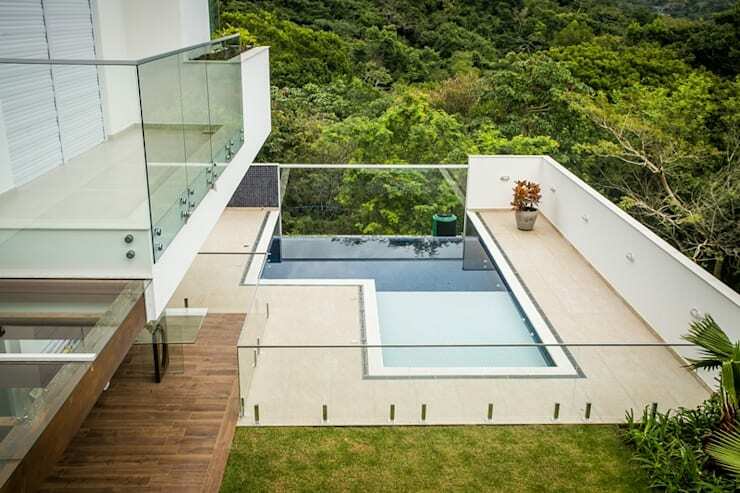 Today we complete our tour by checking out the view from the top of this home where we can clearly see the beautifully inviting swimming pool that is nestled perfectly in the surrounding greenery of the natural vegetation. This home is more than just exceptional, it's the perfect use of 400sqm of land in captivating materials such as wood and glass to create thus home that adds a special effect on the landscape. The home is a perfect blend of traditional and classic aspects with a modern edge to create a home that promotes the well-being of both residents and visitors. What did you think of this home? Just your style? Or perhaps too grand? Let us know!